With a week left to go – let the countdown begin. last minute holiday short-cuts. She’ll also be answering your questions as well. 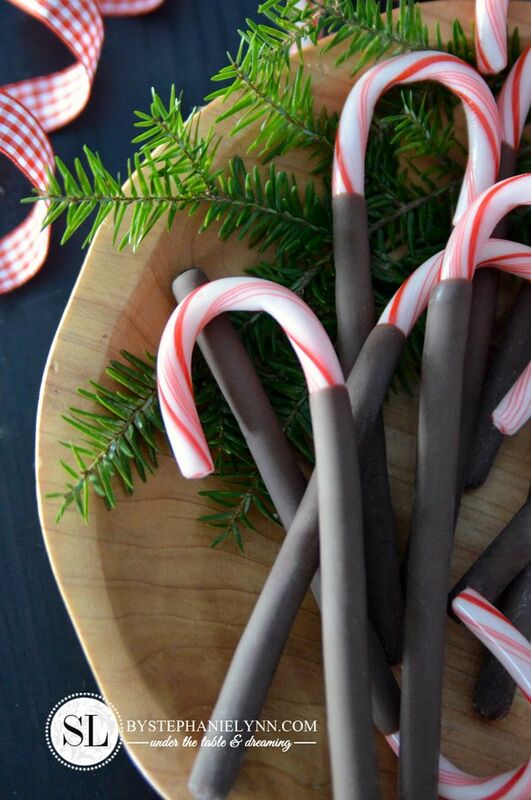 Chocolate-Dipped Candy Canes. 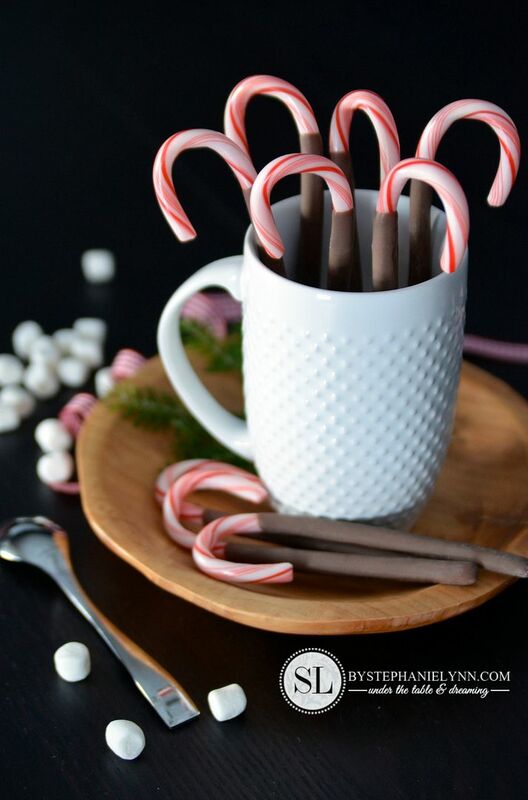 They are such a quick and easy idea and I thought they would be great to package up along with our homemade hot chocolate & marshmallows. so these were quite simple to put together. 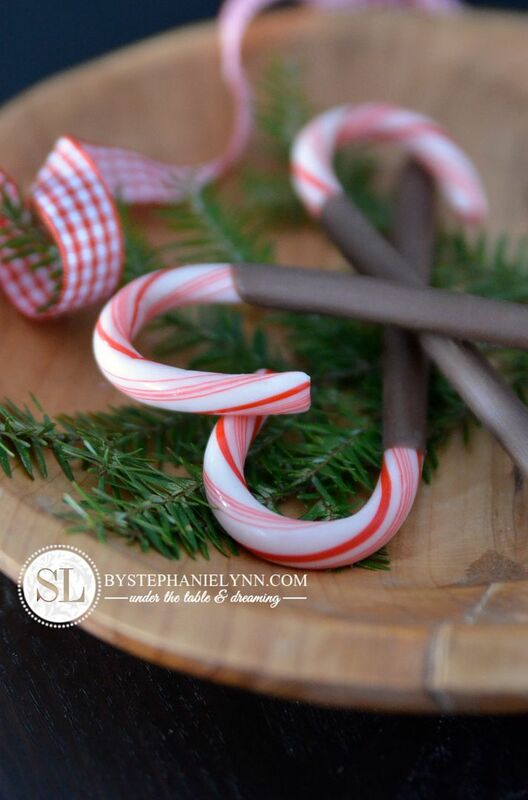 I even came up a fun version for the kiddies and turned a few of them into Candy Cane Reindeer – Rudolph to be exact. I used white jelly beans, along with Sugar Pearls , for the eyes and red Skittles for the nose. 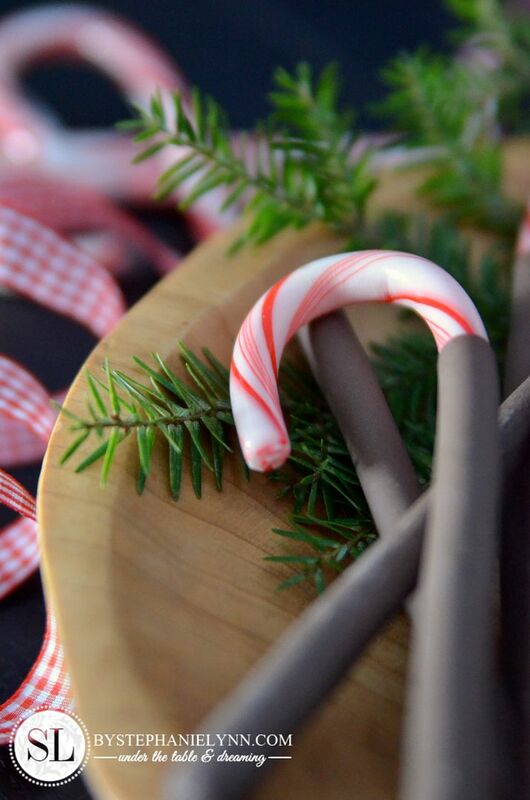 So simple, so cute and super easy. 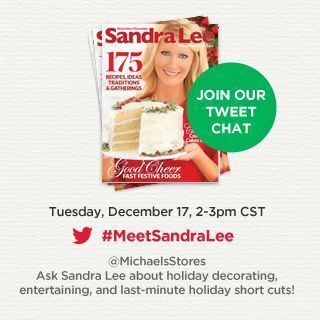 @MichaelsStores Twitter Chat, tomorrow 12/17, at 2pm CST. So incredibly adorable! 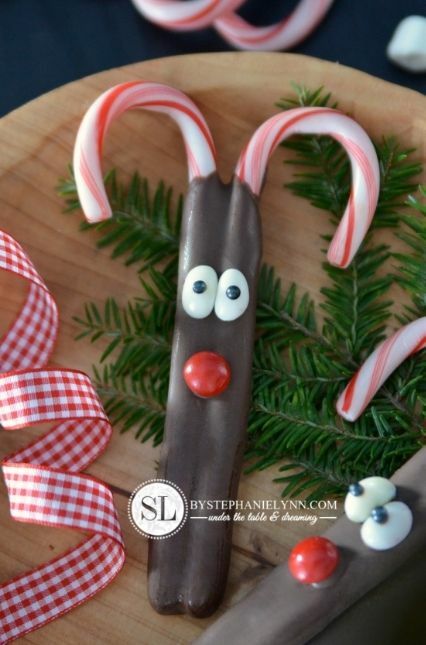 I needed this idea for my daughter’s reindeer party last week. Oh well, maybe next year’s party? How did you attach the sugar pearls to the jelly beans? 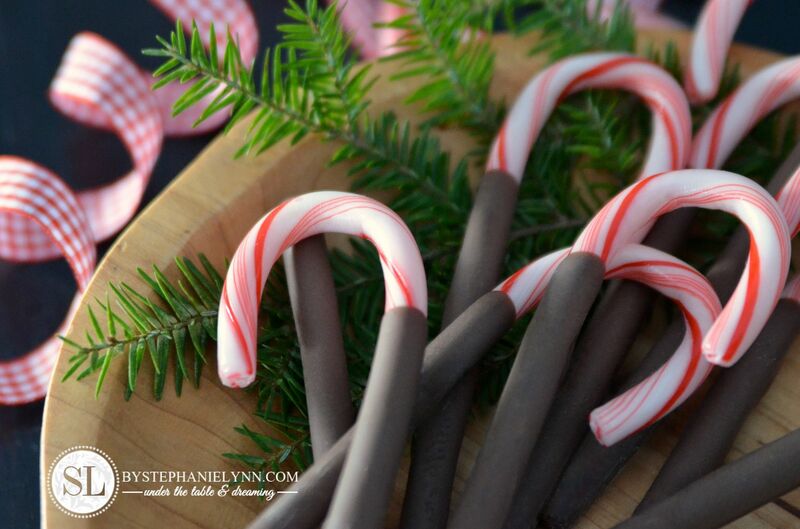 Hi Vickie, Melted chocolate was used to attach the sugar pearls.